Oh How Superbly Super, Super Rugby Statistics Really Are! Posted by Administrator on August 28, 2018. 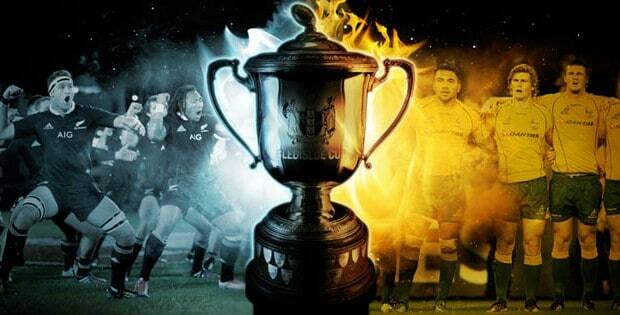 The Bledisloe Cup and the Southern Tours are in full blast with, to be completely honest, more of the same as the past couple of years. The Wallabies look great at times: true; Argentina can keep up with the best of the Boks: yes; the All Blacks always have a great second half (even if they play poorly in the first half): check. All brilliant to watch but there have been very few surprises. Which makes the statistics of the recently finished Super Rugby possibly more interesting to review. After all, the competition is basically the freeway feeder to the best national Rugby teams on Earth. Overall standings see three New Zealand teams on top, Crusaders with 63, Hurricanes with 51 and Chiefs with 49 points respectively. Lions are fourth with 46, just ahead of the Highlanders on 44 and Waratahs also on 44 but behind on points difference. Waratahs lead points for (557) ahead of Crusaders (542) but the Saders lead points difference (247) ahead of Hurricanes (131) and the Tahs only come in third (112). Waratahs and Sharks were the only teams to draw against each other. Lions and Sharks lead in turnovers with 289 and 282 respectivley. Lions however also lead in handling errors with 202, with Chiefs coming second (197) and Sharks at third (194). Waratahs and Rebels lead the penalties conceded count with 183 and 179 respectively while Sunwolves conceded the least with only 126. Guess who were awarded the most penalties? That’s right! Oops… Hang on, is that right? Yes it is… It’s the Lions with 223 with the Stormers coming in second with 179. Would you believe who scored the most tries after 16 matches? Yep, the four semi-finalists. Crusaders with 77, Lions also with 77, the Tahs with 74, and the Hurricanes with 66. Ben Lam of the Hurricanes lead the try count with 16 but the Tahs Taqele Naiyaravoro came joint 2nd with 15 and he also came 2nd for the clean breaks count behind Chief’s Solomon Alaimalo, came in 3rd on the defenders beaten count behind Damian McKenzie and Akira Ioane, joint 3rd for offloads with 26 and came 1st in meters carried (1,478 meters!). He is one to watch. Let’s take a look at the eventual winners the Crusaders: 3rd overall for clean breaks and scrums won, 2nd overall for carries, meters carried, defenders beaten and tackles won and joint 1st for rucks won, with a note that they are also joint 1st for most yellow cards (10) with the Reds and the Rebels. Does this statistic snapshot reflect the style of play of the countries these clubs belong to? Is it fair to predict similar stats when we see the players play for their countries? Will teams change their style of play after having a look at their numbers?